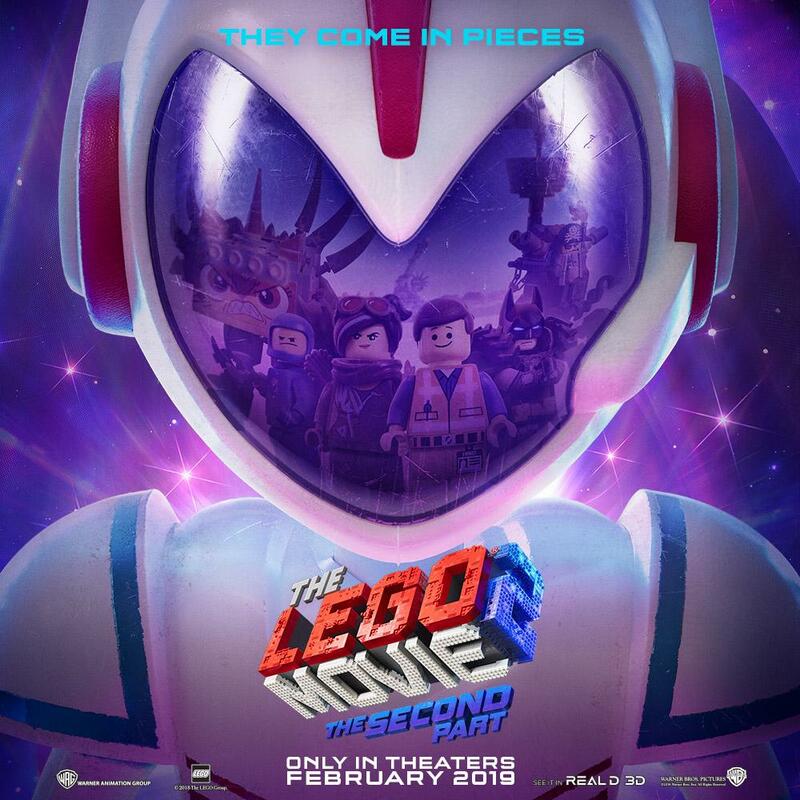 A trailer for The LEGO Movie 2: The Second Part has just been released. The animated film returns to Bricksburg in an all new action-packed adventure to save the city and its citizens from, of all things, DUPLO. Yes, the chunky toddler-safe bricks are invaders from outer space intent on leaving Lego City in pieces. Emmet, Lucy, Batman and their friends return to the big screen in this sequel of the popular 2014 film. Again, Chris Pratt stars as Emmet, Elizabeth Banks as Lucy (aka Wyldstyle), Will Arnett as Batman, Nick Offerman as Metal Beard, and Alison Brie as Unikitty. New characters include Queen Watevra Wa-Nabi voiced by Tiffany Haddish, Sweet Mayhem by Stephanie Beatriz, and Ice Cream Cone by Arturo Castro. The LEGO Movie 2: The Second Part is being directed by Mike Mitchell will be released in 2D and 3D Friday 8 February 2019.